Ex Raleigh NZ Trustee Sir Edmund Hillary Inspires New Clothing Collection! Sir Edmund Hillary’s family has taken to the catwalk tonight to reveal a range of premium heritage men’s clothing that bears his name. Grandsons George and Alexander Hillary, the faces of the new Edmund Hillary range, made their catwalk debut modelling the clothing at the brand’s global launch at New Zealand Fashion Week. Sir Edmund’s granddaughter Lily Hillary also made a special appearance. Edmund Hillary Brands Ltd CEO Mike Hall-Taylor, who co-founded the brand alongside Peter Hillary (Sir Edmund’s son), says it was very exciting to see the range revealed after so many years in development. Thirty looks were shown at this evening’s show – including replicas of jackets and knitwear worn by Sir Edmund Hillary and Tenzing Norgay in 1953, with new fabric and design features that make them ideal urbanwear, while also functional outdoors. 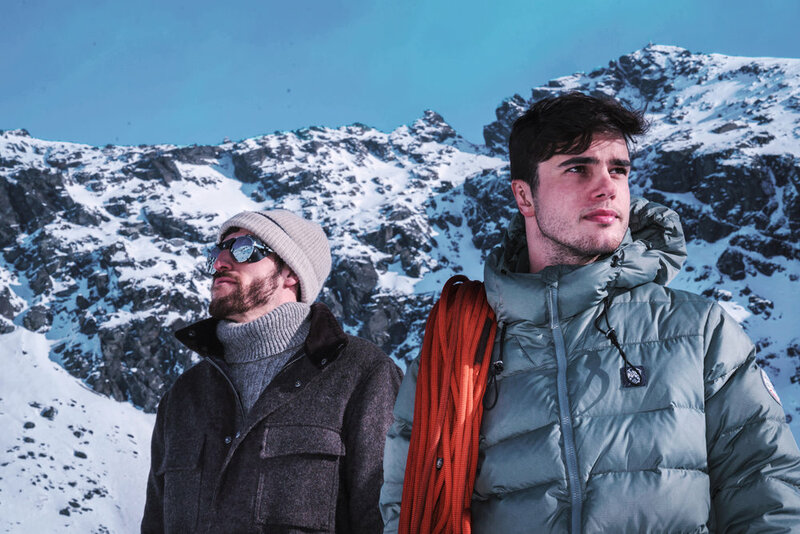 Although not technical climbing gear, the jackets have been worn by Peter, George and Alexander Hillary on three recent climbing expeditions, as part of their quest to summit the highest peaks on each of the seven continents. Peter Hillary says the new brand will help ensure the legacy of his father lives on. The range is taking a season-less approach, and will be available year-round through Edmundhillary.com, with the aim that no piece will be out of fashion at the end of any season.